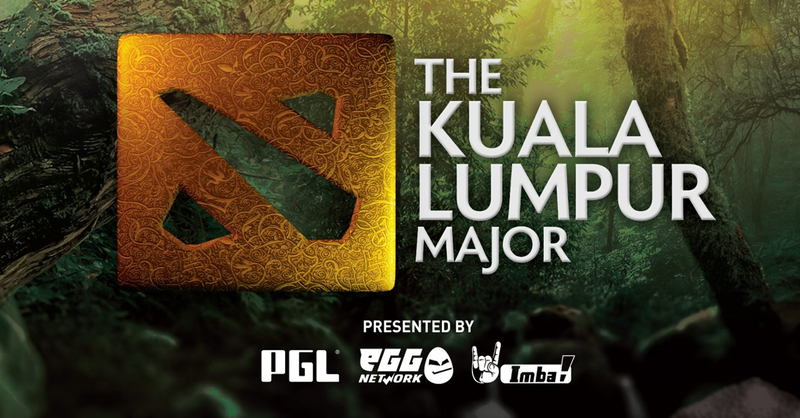 The Kuala Lumpur Major by Dota 2: Virtus Pro conquers the summit! It is Malaysia that has the honor of opening the 2018 / 2019 season of Dota 2, and it's the Virtus Pro to have the honor of bringing home the first very important trophy, the Kuala Lumpur Major! The Russian team to win had to face a tournament with other 15 teams among the strongest in the world. Among the resounding names impossible not to mention the Evil Geniuses, the Fnatic, Paris Saint Germain (well known for his successes in the world of football) and last but not least the Team Secret of the veteran Puppey, Dota 2 competitive establishment. They are just the last ones mentioned to have played the final against Solo and companions. After an initial triumph over Virtus Pro in the Winners Bracket final, Team Secret found himself playing one Final arrival in 5 game where the Polar Bears (nickname of the VP, to cite the team mascot), struggling a lot, have finally grabbed the title of champions. A beautiful tournament to see from beginning to end with a single bitter note, that is the absence of the OG Team, which players decided to take a break after the world championship won a few months earlier to recharge the batteries and continue the rest of the season at full strength. Previous articleThe SK Telecom 1 start (almost) from scratch: free 7 players well! The SK Telecom 1 start (almost) from scratch: free 7 players well! Diablo, the first love is never forgotten. The world of videogames is an ever-expanding sector and we at Parliamo di Videogiochi are always at the forefront guaranteeing transparency and seriousness in the evaluation of the products that gradually appear on the market. We don't care about the consequences, but we put ourselves on your side, on the side of the gamers. Like most internet sites, Talk Of Video Games uses small text files that are saved on your computer, tablet or mobile device to record certain data each time you visit or interact with our site. Specific cookie names and types may change over time. To help you better understand these rules and use these technologies by talking about video games, here are some terms with their definitions. Cookies: small text files (typically formats from letters and numbers) that are saved in the user's browser or device memory when visiting a site or viewing a message. Cookies allow a site to recognize a particular device or browser. Session cookies expire at the end of the browser session and allow Talking Games to link user actions during that specific session. Cookies can be disabled or removed using the tools available in most browsers. Cookie preferences must be set separately for each browser you use, as each of them offers specific features and options. Similar Data Storage Technologies: Technologies that archive data in your browser or device using locally-shared or localized storage objects such as flash cookies, HTML 5 cookies, and other web application software methods. These technologies work in all browsers. In some cases, the use of local storage can not be fully managed by browsers, but requires management through specific tools. We Speak Video Games can use such data storage technologies to ensure user account security or to detect behavioral irregularities and to prevent unauthorized access to the user's account or to evaluate the performance of sites, services, applications, or Tools We Talk About Video Games. Video Games does not use such data storage technologies to adapt advertising to their sites and outside them to the profile of the user. The term "cookies" and "similar technologies" may be used indiscriminately in the Rules of Video Games referring to all the technologies used to store data in the user's browser or device or data collection technologies or to identify the " user in the manner described above.